This item comes with free shipping, handling, and insurance. There is no image description available for this painting. Avenue of the Americas copyright© 1995 by G. Harvey is prohibited from being copied. Web pages copyright© 1998-2017 by Christ-Centered Art. All Rights Reserved. 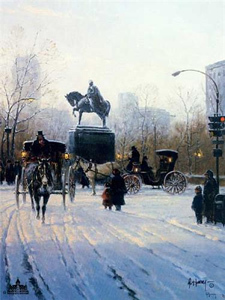 G. Harvey art, horse carriages, artwork, art work, canvases, images, paintings, pictures, and prints of Avenue of the Americas by artist G. Harvey for sale. 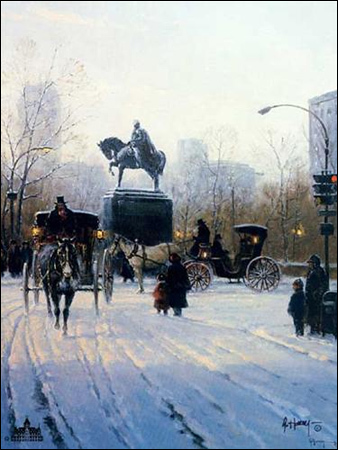 Avenue of the Americas painting by artist G. Harvey can be purchased in art print or canvas form at special sale prices at Christ-Centered Art.